Welcome to the latest issue of the Animals and Society Institute’s Human-Animal Studies e-newsletter. I hope that this issue has information that is of use to you. Please let me know what you’d like to see! For future editions of this newsletter, please send submissions to margo@animalsandsociety.org. Siobhan O’Sullivan’s Knowing Animals podcast, which covers people and topics in the field of human-animal studies, just featured Margo DeMello and her recently edited book, Mourning Animals. Listen to it here! http://knowinganimals.libsyn.com/episode-31-mourning-animals-with-margo-demello. Society & Animals: The Journal of Human-Animal Studies turns 25 next year! To celebrate, we will be partnering with our friends at the Living with Animals conference (hosted by Robert Mitchell and Radhika Mekecha), and ASI be hosting a panel at that conference, to be held from March 22-25 at Eastern Kentucky University, to discuss the ways in which the journal has helped to move the field of human-animal studies forward. We will also be celebrating with a lunch, to which we are inviting everyone in the Society & Animals family. Potts, A. (Ed.). (2016). Meat Culture. BRILL. Chrulew, M., & Wadiwel, D. J. (Eds.). (2016). Foucault and Animals. BRILL. Brock University HAS scholars Kendra Coulter and Devon MacPherson recently conducted a radio interview for CBC’s The Current regarding protections for service and working dogs that our readers might be interested in. Check it out here! : http://bit.ly/2g7HQt4. We are very happy to report two new Human-Animal Studies university programs! The first is an Anthrozoology Masters program at Hartpury University in Gloucester, UK. The second is a new minor in Human-Animal Interactions at New Mexico State University in Las Cruces, New Mexico. ISAZ is seeking nominations for the Distinguished Anthrozoologist Award for outstanding lifetime achievement in Anthrozoology/Human-Animal Interaction Studies by an ISAZ member who is a senior scholar. The award will be offered in odd numbered years, starting in 2017. Nominations must be based on lifetime achievements, not specific projects. Nominees must be current ISAZ members and must be a Full Professor or equivalent. Nominations must be made by any member of the ISAZ board or Anthrozoos editorial board, a fellow of the society, or an organization related to human-animal interaction scholarship or activity that is familiar with the candidate’s work. Self-nominations are not allowed. 1) A formal letter of nomination by a person (other than the nominee) who is a member of the ISAZ board, a Fellow of ISAZ, an Anthrozoos editorial board, or an officer of an organization related to human-animal interaction scholarship or activity that is familiar with the candidate’s work. The letter must describe the value and importance of the nominee’s scholarship in Anthrozoology and include a clear statement confirming the candidate’s willingness to be nominated for the Award. 2) A copy of the candidate’s curriculum vitae. 3) Copies of 5-10 publications used to support the scholarly contributions to Anthrozoology by the nominee. Artist and HAS Scholar Linda Brant has launched a fundraiser for her proposed monument, to be installed at Harstdale Pet Cemetery in New York, to animals we do not mourn. She hopes to have the monument finished and installed in Spring 2017. To find out more about this interesting project, and to help, please visit https://www.generosity.com/animal-pet-fundraising/monument-to-animals-we-do-not-mourn–2. Competitive positions are available for highly motivated and promising individuals seeking a PhD or Lab Coordinator position related to the PSYCHOLOGY OF HUMAN-ANIMAL INTERACTION with Dr. Maggie O’Haire. The successful applicant will be housed within the Center for the Human-Animal Bond at Purdue University. 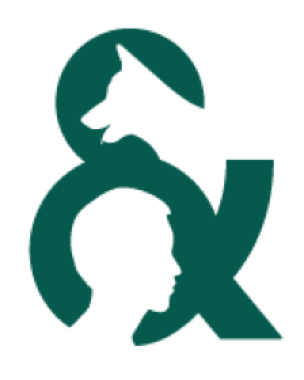 The research program will focus on the scientific evaluation of SERVICE DOGS for military veterans with posttraumatic stress disorder and their families. See attached for more information or go to www.humananimalinteraction.org. in Environmental Studies and an undergraduate minor in Animal Studies (one of the first in the country). It is in the process of developing other graduate programs. Candidates should apply with a cover letter, CV, three (3) confidential letters of recommendation, a teaching statement, and a writing sample. Review of applications will begin on January 10, 2017, and will continue until the search is complete. More information on applying is available at http://animalstudies.as.nyu.edu/page/employment. NYU’s Animal Studies Initiative, an integral part of the Department of Environmental Studies, invites applications for the position of Faculty Fellow. The appointment will be for one year beginning September 1, 2017, renewable annually for a maximum of three years, pending administrative and budgetary approval. The successful applicant will contribute to the education of undergraduates minoring in Animal Studies, teaching three courses per year, and serving as the advisor to the minors. In addition, the successful candidate will help organize and actively participate in an initiative directed towards developing Animal Studies as a rigorous field of academic inquiry. Primary academic training need not be in Animal Studies, but there must be demonstrable evidence of a sincere and substantive commitment to working in this field. We have special interests in ethics and animals, and animals and the environment. Applicants must have completed their Ph.D. no more than five years before the appointment date. Review of applications will begin on November 1, 2016, and will continue until the search is complete. More info is available at http://animalstudies.as.nyu.edu/page/employment. Royal Holloway, University of London, is offering postgraduate funding for outstanding students in the School of Modern Languages, Literatures and Cultures. Current research expertise in the School includes: Animal Studies, Ecocriticism and the Anthropocene, Translation, Gender Studies, Trauma Studies, Critical and Cultural Theory, and Globalisation and Consumer Culture. The Department is able to nominate students for the AHRC TECHNE studentship competition. Information about applying for an AHRC TECHNE studentship and an application form can be found on the College AHRC web page. More information about the TECHNE Doctoral Training Partnership is on the TECHNE website. Royal Holloway also has a number of College Studentships available. Please note that students who apply for a TECHNE award will be considered automatically for a College Scholarship. Please click here for more information about College Studentships. Note that the deadline for Techne and College applications with the School of Modern Languages, Literatures and Cultures at Royal Holloway is January 16, 2017. For more information visit our website or contact the Director of Graduate Studies, Dr Sarah Wright sarah.wright@rhul.ac.uk or the postgraduate administrator Ann Hobbs a.hobbs@rhul.ac.uk. Following are some of the books coming out this month that we are excited about! Hurn, S. (Ed.). (2016). Anthropology and Cryptozoology: Exploring Encounters with Mysterious Creatures. Routledge. Cryptozoology is best understood as the study of animals which, in the eyes of Western science, are extinct, unclassified or unrecognised. In consequence, and in part because of its selective methods and lack of epistemological rigour, cryptozoology is often dismissed as a pseudo-science. However, there is a growing recognition that social science can benefit from engaging with it, for as as social scientists are very well aware, ’scientific’ categorisation and explanation represents just one of a myriad of systems used by humans to enable them to classify and make sense of the world around them. In many cultural contexts, myth, folk classification and lived experience challenge the ’truth’ expounded by scientists. With a reflexive, anthropological approach and drawing on rich empirical and ethnographic studies from around the world, this volume engages with the theoretical and methodological issues raised by reported sightings of unrecognised animals. Bringing into sharp focus the anthropological value and challenges for methodology posed by beliefs about unclassified creatures, Anthropology and Cryptozoology: Exploring encounters with mysterious creatures will be of interest to anthropologists, sociologists and geographers working in the fields of research methods, anthrozoology, mythology and folklore and human-animal interaction. Castricano, J., & Simonsen, R. R. 2016. Critical Perspectives on Veganism. Palgrave. This book examines the ethics, politics and aesthetics of veganism in contemporary culture and thought. Traditionally a lifestyle located on the margins of western culture, veganism has now been propelled into the mainstream, and as agribusiness grows animal issues are inextricably linked to environmental impact as well as to existing ethical concerns. This collection connects veganism to a range of topics including gender, sexuality, race, the law and popular culture. It explores how something as basic as one’s food choices continue to impact on the cultural, political, and philosophical discourse of the modern day, and asks whether the normalization of veganism strengthens or detracts from the radical impetus of its politics. With a Foreword by Melanie Joy and Jens Tuidor, this book analyzes the mounting prevalence of veganism as it appears in different cultural shifts and asks how veganism might be rethought and re-practised in the twenty-first century. Engelhard, M. (2016). Ice Bear: The Cultural History of an Arctic Icon. University of Washington Press. Prime Arctic predator and nomad of the sea ice and tundra, the polar bear endures as a source of wonder, terror, and fascination. Humans have seen it as spirit guide and fanged enemy, as trade good and moral metaphor, as food source and symbol of ecological crisis. Eight thousand years of artifacts attest to its charisma, and to the fraught relationships between our two species. In the White Bear, we acknowledge the magic of wildness: it is both genuinely itself and a screen for our imagination. Ice Bear traces and illuminates this intertwined history. From Inuit shamans to Jean Harlow lounging on a bearskin rug, from the cubs trained to pull sleds toward the North Pole to cuddly superstar Knut, it all comes to life in these pages. With meticulous research and more than 160 illustrations, the author brings into focus this powerful and elusive animal. Doing so, he delves into the stories we tell about Nature-and about ourselves-hoping for a future in which such tales still matter. Tait, P. (2016). Fighting Nature: Travelling Menageries, Animal Acts and War Shows Literature. Sydney University Press. Throughout the 19th century animals were integrated into staged scenarios of confrontation, ranging from lion acts in small cages to large-scale re-enactments of war. Initially presenting a handful of exotic animals, travelling menageries grew to contain multiple species in their thousands. These 19th-century menageries entrenched beliefs about the human right to exploit nature through war-like practices against other animal species. Apart from reflecting human capacity for fighting and aggression, and the belief in human dominance over nature, these animal performances also echoed cultural fascination with conflict, war and colonial expansion. The grand spectacles of imperial power reinforced state authority and enhanced public displays of nationhood and nationalistic evocations of colonial empires. Fighting Nature is an insightful analysis of the historical legacy of 19th-century colonialism, war, animal acquisition and transportation. This legacy of entrenched beliefs about the human right to exploit other animal species is yet to be defeated. Gluck, J. P. (2016). Voracious Science and Vulnerable Animals: A Primate Scientist’s Ethical Journey. University of Chicago Press. John P. Gluck has been one of the scientists at the forefront of the movement to end research on primates, and in Voracious Science and Vulnerable Animals he tells a vivid, heart-rending, personal story of how he became a vocal activist for animal protection. Gluck begins by taking us inside the laboratory of Harry F. Harlow at the University of Wisconsin, where Gluck worked as a graduate student in the 1960s. Harlow’s primate lab became famous for his behavioral experiments in maternal deprivation and social isolation of rhesus macaques. Though trained as a behavioral scientist, Gluck finds himself unable to overlook the intense psychological and physical damage these experiments wrought on the macaques. Gluck’s sobering and moving account reveals how in this and other labs, including his own, he came to grapple with the uncomfortable justifications that many researchers were offering for their work. As his sense of conflict grows, we’re right alongside him, developing a deep empathy for the often smart and always vulnerable animals used for these experiments. At a time of unprecedented recognition of the intellectual cognition and emotional intelligence of animals, Voracious Science and Vulnerable Animals is a powerful appeal for our respect and compassion for those creatures who have unwillingly dedicated their lives to science. Through the words of someone who has inflicted pain in the name of science and come to abhor it, it’s important to know what has led this far to progress and where further inroads in animal research ethics are needed. Herman, D. (Ed.). (2016). Creatural Fictions: Human-animal Relationships in Twentieth-and Twenty-first-century Literature. Palgrave. This volume explores how twentieth- and twenty-first-century literary texts engage with relationships between humans and other animals. Written by forward-thinking early-career scholars, as well as established experts in the field, the chapters discuss key texts in the emergent canon of animal narratives, including Franz Kafka’s animal stories, Yann Martel’s The Life of Pi, Zakes Mda’s The Whale Caller, and others. The volume is divided into four main sections. Two period-focused sections center on modernism and on late-twentieth- and twenty-first-century fiction, while two further sections foreground the more general project of theory building in literary animal studies, examining interconnections among concepts of species, sexuality, gender, and genre. The volume also raises issues that extend beyond the academic community, including ethical dimensions of human-animal relationships and the problems of species loss and diminishing biodiversity. Locke, P. and J. Buckingham, eds. (2016). Conflict, Negotiation, and Coexistence: Rethinking Human-Elephant Relations in South Asia. Oxford University Press. As formidable instruments of war, they have changed the destinies of empires. As marauding crop raiders, they are despised. As an endangered species, they are cherished. Numerous and often contrasting are the ways in which elephants have been regarded by humans across millennia. Today, with reduced forest cover, human population expansion, and increasing industrialization, interaction between the two species is unavoidable and conflict is not mere happenstance. What, then, is the future of this relationship? In South Asia, human-elephant relationships resonate with cultural significance. From the importance of elephants in ancient texts to the role of mahouts over centuries, from discussions on de-extinction to accounts of intimate companionship, the essays in this bookÂreveal the various dynamics of the relationship between two intelligent social mammals. Eschewing such binaries as human and animal or nature and culture, the essays present elephants as subjective agents who think, feel, and emote. Conflict, Negotiation, and Coexistence underscores the fact that we cannot understand elephant habitat and behaviour in isolation from the humans that help configure it. Significantly, nor can we understand human political, economic, and social life without the elephants that shape and share the world with them. Marra, P. P., & Santella, C. (2016). Cat Wars: The Devastating Consequences of a Cuddly Killer. Princeton University Press. This compelling book traces the historical and cultural ties between humans and cats from early domestication to the current boom in pet ownership, along the way accessibly explaining the science of extinction, population modeling, and feline diseases. It charts the developments that have led to our present impasse—from Stan Temple’s breakthrough studies on cat predation in Wisconsin to cat-eradication programs underway in Australia today. It describes how a small but vocal minority of cat advocates has campaigned successfully for no action in much the same way that special interest groups have stymied attempts to curtail smoking and climate change. Cat Wars paints a revealing picture of a complex global problem—and proposes solutions that foresee a time when wildlife and humans are no longer vulnerable to the impacts of free-ranging cats. Wrenn, C. (2016). A Rational Approach to Animal Rights: Extensions in Abolitionist Theory. Palgrave Macmillan. Applying critical sociological theory, this book explores the shortcomings of popular tactics in animal liberation efforts. Building a case for a scientifically-grounded grassroots approach, it is argued that professionalized advocacy that works in the service of theistic, capitalist, patriarchal institutions will find difficulty achieving success. Chen, P.J. (2016). Animal Welfare in Australia: Politics and Policy. Sydney University Press. Animal welfare has attracted attention in Australia in recent decades, yet the policy-making process remains poorly understood. Peter Chen, a political scientist at the University of Sydney, explores the history of animal welfare in Australia, examines public opinion and media coverage of key issues (such as livestock export, for example), and comprehensively maps the policy domain. He shows how policy is made and implemented, and how diverse social, ethical and economic interests interact to produce a complex and unpredictable political climate. Animal Welfare in Australia: Politics and Policy will be of interest to scholars and practitioners of public policy, those interested in issues of animal welfare, and anyone wishing to understand how diverse sets of social and economic interests interact in the contemporary policy landscape. Dashper, K. (2016). Human–Animal Relationships in Equestrian Sport and Leisure. Routledge. Riding, training and caring for horses are visceral experiences that require the immersion of both body and mind. This book provides an in-depth understanding of human–horse relationships and interactions as embodied in equestrian sport and leisure. As a closely focused ethnographic study of the horse world, it explores the key themes of partnership and collaboration in human–horse communication, the formation of individual and collective identities performed through involvement in the horse world, and human–horse interaction as an embodied way of being. This book argues that encounters between humans and horses can reveal the ways that human society has been and continues to be structured through intersection with nonhuman others. Equestrian sport and leisure provides an apt context for considering how such concepts of interspecies communication and collaboration are negotiated, managed, (mis)understood and performed, resulting in a uniquely embodied way of knowing and being in the world. Human–Animal Relationships in Equestrian Sport and Leisure is fascinating reading for anyone interested in equestrianism, human-animal studies, theories of embodiment, the sociology of sport, or sport and social theory. Andrianova, A. (2016). Narrating Animal Trauma in Bulgakov and Tolstoy. Humanities, 5(4), 84. Buller, H. (2016). Animal geographies III Ethics. Progress in Human Geography, 40(3), 422-430. Carr, H. (2016). Caring at the borders of the human. ReValuing Care in Theory, Law and Policy: Cycles and Connections. Chang, C. J. (2016). Wasted Humans and Garbage Animals: Deadly Transcorporeality and Documentary Activism. In Ecodocumentaries (pp. 95-114). Palgrave Macmillan UK. Cornish, A., Raubenheimer, D., & McGreevy, P. (2016). What We Know about the Public’s Level of Concern for Farm Animal Welfare in Food Production in Developed Countries. Animals, 6(11), 74. Crossman, M. K. (2016). Effects of Interactions With Animals On Human Psychological Distress. Journal of Clinical Psychology. Doré, A., & Michalon, J. (2016). What makes human–animal relations ‘organizational’? The de-scription of anthrozootechnical agencements. Organization, 1350508416670249. Gallagher, T. J. (2016). Human-Animal Studies, GH Mead, and the Question of Animal Minds. Ichitani, T., & Cunha, M. C. (2016). Effects of animal-assisted activity on self-reported feelings of pain in hospitalized children and adolescents. Psicologia: Reflexão e Crítica, 29(1), 43. Kaufman, S., Poulsen, S., & Kapoor, P. Meeting, Matching and Bonding: A Communication Ethnography of an Animal Shelter. Leitsberger, M., Benz-Schwarzburg, J., & Grimm, H. A Speaking Piglet Advertises Beef: An Ethical Analysis on Objectification and Anthropomorphism. Journal of Agricultural and Environmental Ethics, 1-17. Mancini, C., Lawson, S., & Juhlin, O. (2016). Animal-Computer Interaction: the Emergence of a Discipline. International Journal of Human-Computer Studies. Metraux, A. (2016). On Some Issues of Human-Animal Studies: An Introduction. Science in context, 29(1), 1-10. Miller, J. (2016). Wild Animal Skins in Victorian Britain: Zoos, Collections, Portraits, and Maps/The Dog in the Dickensian Imagination: Animals, Literature, and the Victorians: Skins and Dogs. Journal of Victorian Culture, 21(1), 132-136. O’Brien, D. H. (2016). Other (ed) Rabbits. Animal Alterity, 47. Riggs, D. W., Due, C., & Taylor, N. (2016). ‘I want to bring him from the aeroplane to here’: The meaning of animals to children of refugee or migrant backgrounds resettled in Australia. Children & Society. Shumon, T. H., & Harald, F. Sharing the world with mammoths, cave lions and other beings: linking animal-human interactions and the Aurignacian “belief world”. Trigg, J. L., Thompson, K., Smith, B., & Bennett, P. (2016). A Moveable Beast: Subjective Influence of Human-Animal Relationships on Risk Perception, and Risk Behaviour during Bushfire Threat. The Qualitative Report, 21(10), 1881-1903. Anthrozoös 29(4) is now online! You can access the table of contents and the abstracts directly from: http://www.tandfonline.com/toc/rfan20/current. “Living with Animals 3” is a biennial Animal Studies conference about all things animal and human-animal interaction at Eastern Kentucky University (EKU). EKU, located in Richmond, Kentucky, just south of Lexington, “The Horse Capital of the World,” began offering the first undergraduate degree in Animal Studies in 2010. We offer a Living with Animals conference every 2 years, and are pleased again to have an international set of speakers. The conference is now over four days, March 22-25, 2017. The conference centers on our ever-present relationships with animals examined through the arts and humanities, sciences, and applied fields. Consistent with the conference theme, our focus this time around is co-existence: Is human co-existence with other animals working? How do or can we co-exist with animals, and they with us? How have we failed to co-exist? Can we educate each other to support and sustain co-existence? We have three special sessions: “SEEING WITH ANIMALS” with a focus on animal and art (see CFP); “LIVING WITH HORSES”, a continuing theme; and “CELEBRATING 25 YEARS OF THE JOURNAL SOCIETY & ANIMALS.” Abstracts of 200 to (approximately) 400 words should be sent to livingwithanimals@eku.edu. Abstract submission deadline: December 12. Visit http://livingwithanimals.eku.edu. The Seeing with Animals conference will run in conjunction with the Living with Animals conference at Eastern Kentucky University in Richmond, Kentucky, from March 22-26, 2017. The theme of this year’s conference is Co-Existence. Seeing with Animals, in keeping with the theme Co-Existence, will explore the ways that images of animals have been deployed—both historically and in contemporary practices in art, visual culture, and media studies—to mediate (or not) human-animal relationships, promote understanding of animal worlds, and/or serve as cultural commentary. Seeing with Animals, the conference, invites abstracts for pre-formed panels, individual papers, individual artist talks and posters that broadly address the subject of animal imagery and representation. We especially invite individual artists to submit abstracts to speak about their own art works in the form of individual artist talks. While topics in keeping with the theme of Co-Existence are preferred, any topic related to animal imagery (or artistic practices engaging animals in other ways) is welcome. We also welcome topics related to pedagogical approaches to animals and art/art history/media. We are open to alternate forms of presentations including performance art, artist demonstrations or workshops, and onsite installation art. DEADLINE FOR SUBMISSIONS: December 12.. Visit: http://livingwithanimals.eku.edu | https://seeingwithanimals.wordpress.com. Fourth Annual Oxford Animal Ethics Summer School: The Ethics of Fur. July 23-26, 2017, at St Stephen’s House, Oxford, in partnership with Respect for Animals. Every year more than 60 million animals are killed and sold by the international fur industry. It represents one of the largest uses of animals today. This Summer School will examine the ethics of the treatment of animals killed for their fur worldwide, including trapping, hunting, killing, and “farming” of animals. We shall also consider the use of animal fur products in fashion worldwide. Papers are invited from academics worldwide on any aspect relating to the ethics of fur, including philosophical and religious ethics, historical, anthropological, legal, psychological, scientific, and sociological perspectives. Potential topics include: the nature of animal suffering in fur production, the international trade in animal fur, methods of killing, the environmental consequences of the international fur industry, the use of fur in fashion, the role of international business, the media promotion of fur, changing legislation, especially in the European Union, and strategies for change. Abstracts of proposed contributions (no more than 300 words) should be sent to Clair Linzey via email: depdirector@oxfordanimalethics.com. The deadline for abstracts is January 1, 2017. Accepted papers will be considered for publication in a subsequent book volume or in the Journal of Animal Ethics. Decolonization and the Politics of Wildlife in Africa, an International Conference, to be held at the Stellenbosch Institute of Advanced Study, South Africa, September 26-30, 2017. The establishment of European colonial rule on the African continent not only involved the colonization of nature, but essentially meant colonization through nature. Imperial politics of resource extraction, hunting, and conservation forged the upsetting and renegotiation of existing human ecologies and were often accompanied by the strict separation of the spheres of »nature«/»wilderness« on the one hand, and »culture« on the other. But in how far did decolonization across Africa south of the Sahara equally affect the sphere of ecology and relationships between humans and wildlife? What continuities and what changes can we observe in the transcontinental governance of wildlife and its concepts, practices, and actors? What role did animals play in all this and in how far did decolonization affect wildlife and individual species? Have Africa’s wild animals ever been decolonized? This conference seeks to address these questions in a trans- and multidisciplinary perspective. It aims to bring together senior and junior specialists in African and global environmental history, human-animal studies, human geography, political ecology, and the various conservation and wildlife sciences. Scholars based at African academic institutions are particularly encouraged to apply. The organizers are interested in receiving proposals focusing on the transitional decades of late colonial rule and early independence. Please send a proposal of no more than 500 words and a brief CV to both conveners (gissibl@ieg-mainz.de, schuermann@uni-kassel.de). The deadline for submission is February, 28 2017. The conference will be held in English and focus on the discussion of pre-circulated papers of about 5,000 to 6,000 words (due by September 3, 2017). Cost of travel and accommodation will be covered. Sydney University Press is looking for submissions to the Animal Publics series. The series is co-edited by Prof. Fiona Probyn Rapsey and Dr Melissa Boyd. The series publishes original and important research in animal studies by both established and emerging scholars. Animal Publics takes inspiration from varied and changing modalities of the encounter between animal and human. The series explores intersections between humanities and the sciences, the creative arts and the social sciences, with an emphasis on ideas and practices about how animal life becomes public: attended to, listened to, made visible, foregrounded, included and transformed. Animal Publics investigates publics past and present, and publics to come, made up of more-than-humans and humans entangled with other species. Submissions should be approximately 7000 words, should use Chicago style endnote, and should be submitted to kstruthe@ualberta.ca and mailto:chloe.taylor@ualberta.caby January 9, 2017. Writing meat: Flesh Eating and Literature Since 1900. The conversion of animal bodies into flesh for human consumption is a practice where relations of power between humans and nonhuman animals are reproduced in exemplary form. From the decline of (so-called) traditional animal husbandry to the emergence of intensive agriculture and, more recently, the biotechnological innovation of in vitro meat, the last hundred years have seen dramatic changes in processes of meat production, as well as equally significant shifts in associated patterns of human-animal relations. Over the same period, meat consumption has risen substantially and incited the emergence of new forms of political subjectivity, from nationalist agitation against ritual slaughter to the more radical rejection of meat production in abolitionist veganism. Distinct disciplinary responses to meat production and consumption have occurred across the humanities and social sciences in areas including (but not limited to) food studies, gender studies, postcolonial studies, ecocriticism, and (critical) animal studies. Theoretical engagements with these upheavals have ranged from viewing meat production as a site of affective encounter and irresolvably complex ethical entanglements, to framing industrialised slaughter as a privileged practice in what Dinesh Wadiwel has recently diagnosed as a biopolitical ‘war against animals’. This edited collection solicits essays which engage with these transformations in the meanings and material practices of meat production and consumption in literature and theory since 1900. We seek contributions from scholars working on representations of meat in any area of literary studies (broadly conceived) but are particularly interested in essays that challenge dominant narratives of meat-eating and conceptions of animals as resources. The volume will be submitted to Palgrave Studies in Animals and Literature. Please send abstracts of 300 words along with a brief biographical statement to Seán McCorry (s.mccorry@sheffield.ac.uk) and John Miller (john.miller@sheffield.ac.uk) by January 23, 2017. Since its origins in the mid nineteenth century, detective fiction has been populated by a huge array of beasts. If the genre begins, as is widely supposed (though not without some debate), with Edgar Allen Poe’s ‘Murders in the Rue Morgue’ (1841), then detective fiction’s very first culprit is an animal. Such beastly instances of criminal violence are among the genre’s most recurrent figurings of the non-human. Accordingly, like Poe’s frenzied ourang-outang on the spree in Paris, Arthur Conan Doyle’s Hound of the Baskervilles (1902) identifies a murderous aggression as part-and-parcel of animal nature. Detective fiction accommodates gentler and more law-abiding creatures too, however. Wilkie Collins, often thought of as the founder of the British detective novel, depicts the villain Count Fosco in The Woman in White (1859) surrounded by his ‘pretties’, ‘a cockatoo, two canary-birds and a whole family of white mice’, while Koko and Yum Yum, the feline sidekicks of Lillian Jackson Braun’s popular The Cat Who… series from the 1960s show animals living on the right side of the law. Detective fiction is also consistently concerned with the human as animal. From the ‘bloodhound’ Sherlock Holmes to Dashiell Hammett’s ‘wolfish’ Sam Spade, detection involves the development of beastly characteristics. Comparably, the criminal is often imagined as the animal in human form, a sign of the descent back down the evolutionary ladder towards a savage state the founder of criminology Cesare Lombroso identified as ‘criminal atavism’. Though often described as an essentially conservative form, the best examples of detective fiction unsettle rigid binarisms to intersect with developing concerns in animal studies: animal agency, the complexities of human/animal interaction, the politics and literary aesthetics of animal violence and victimhood, animal metaphor and the intricate ideological work of ‘animality’. This volume will be the first to engage thoroughly with the manifold animal lives in this enduringly popular and continually morphing literary form. We are interested in essays that investigate the portrayal of animals in the detective fiction of any period and any region. It is anticipated that the volume will include essays that explore the genre’s most celebrated figures (Poe, Conan Doyle, Agatha Christie, Dorothy Sayers, Raymond Chandler, Georges Simenon, Hammett, Walter Mosley etc), alongside less well-known authors. We particularly welcome essays which combine questions of genre with attention to broader ethical and political concerns regarding the representation of animals, encompassing relevant theoretical developments in, for example, animal studies, posthumanism and ecocriticism. The volume is intended to form part of Palgrave Studies in Animals and Literature, edited by Susan McHugh, Robert McKay and John Miller (http://www.palgrave.com/series/palgrave-studies-in-animals-and-literature/PSAAL/). Please email abstracts of no more than 300 words along with a short biographical statement to Ruth Hawthorn (rhawthorn@lincoln.ac.uk) and John Miller (John.Miller@sheffield.ac.uk) by March 31, 2017. As you can see, there is a tremendous amount of activity and progress going on today in the field of human-animal studies, and we always invite your input and participation. Your donation to the Animals and Society Institute will enable us to continue to expand the field in many more ways and work in conjunction with others around the world who share these goals. Thank you for supporting our Human-Animal Studies efforts!